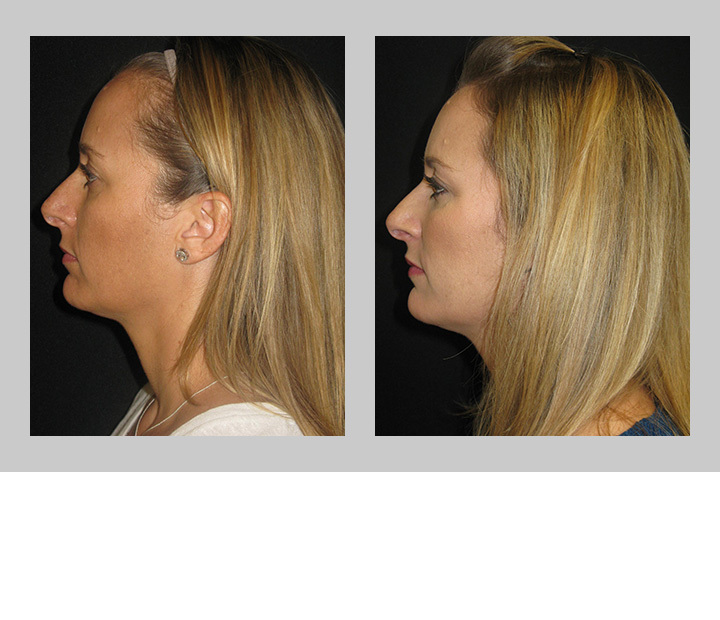 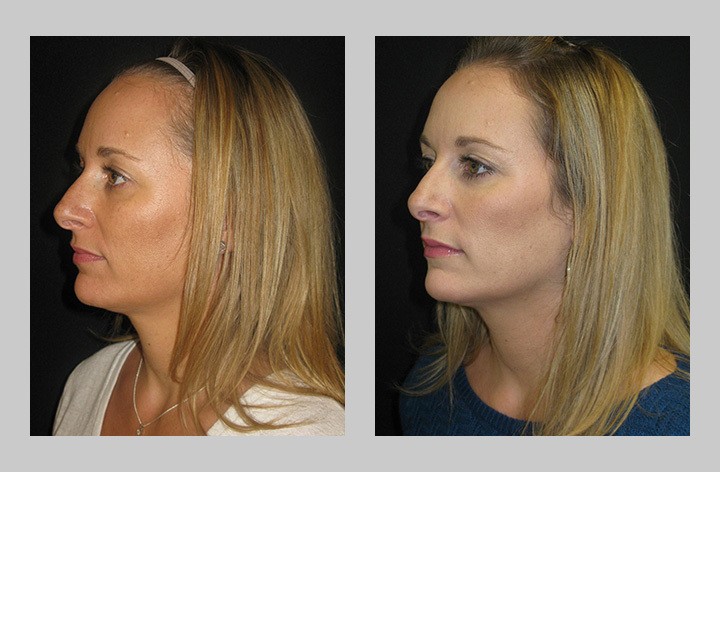 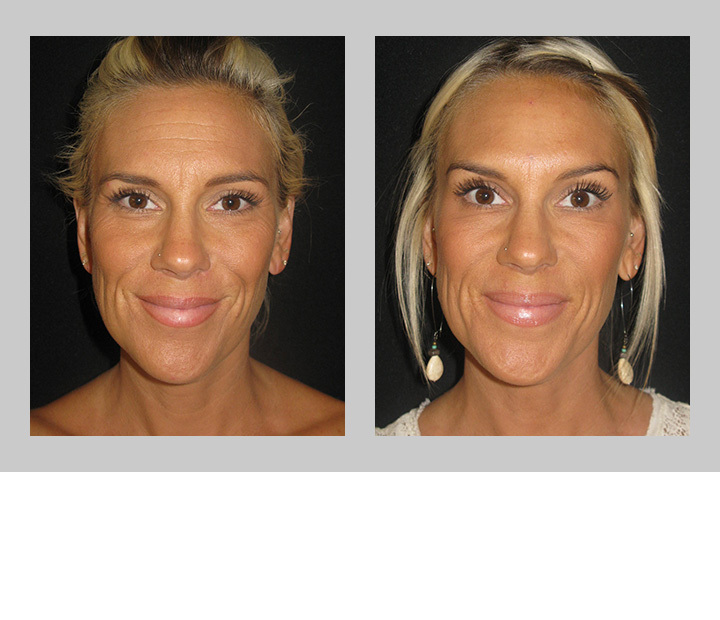 This patient is in her mid-thirties and is seeing the early signs of aging but is not yet ready for surgical correction. 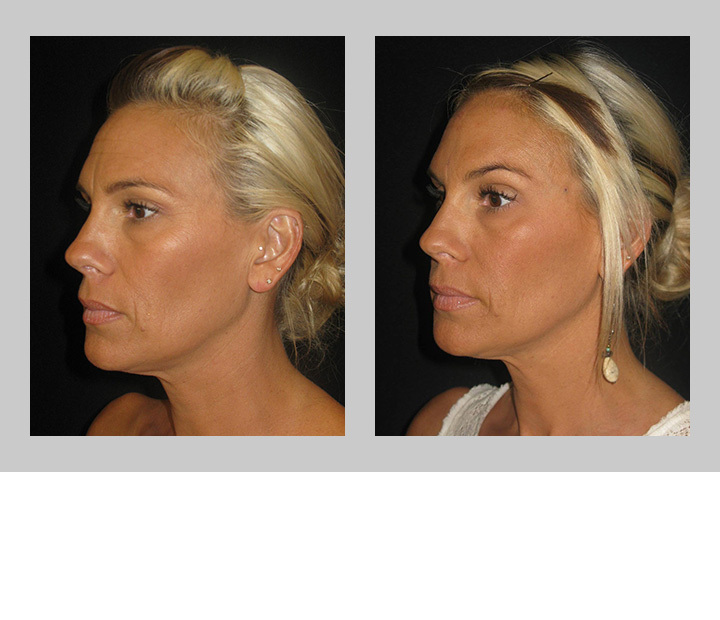 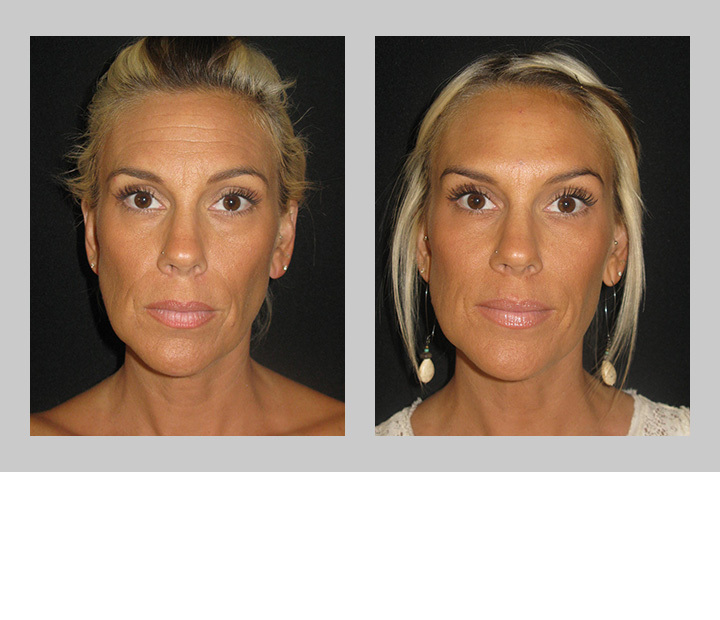 Botox was used to help minimize the furrow to her brow, while dermal filler softened her nasolabial folds and created contour to her cheek bones. 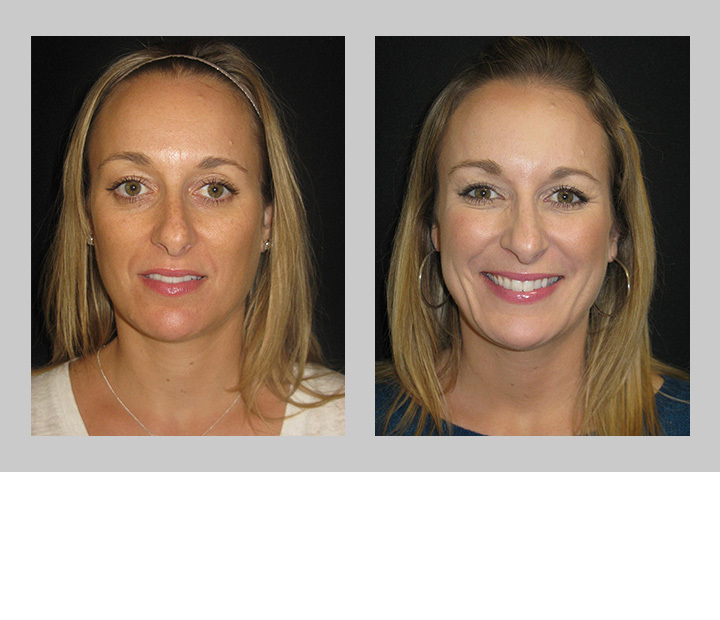 Patient wanted enhanced lips but in a very modest way, dermal filler was added to both upper and lower lips to give her more volume with a very natural appearance.